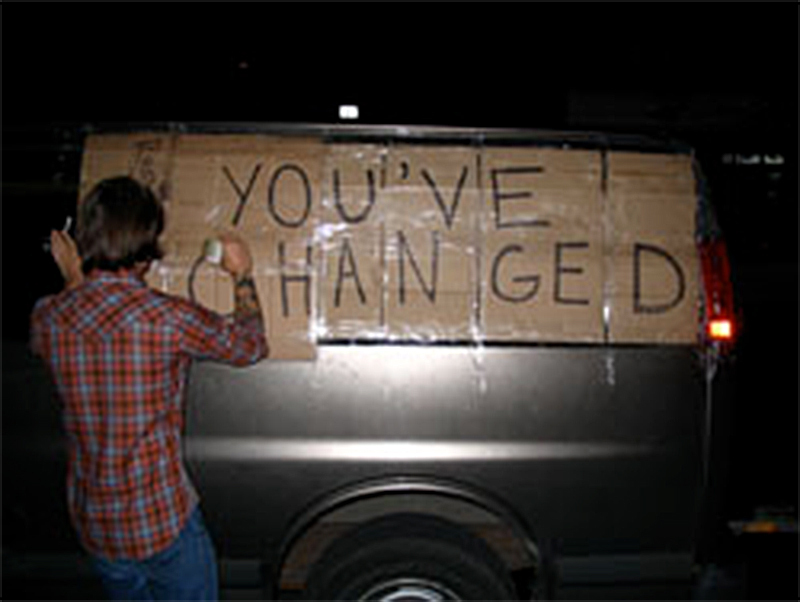 You’ve Changed Records 002, ‘SPLIT’ was born in the backseat of a Ford Econoline, somewhere near the Quebec – New Brunswick border. Some old tour van in summer. Some guys in bands. We were on our way home from the 3rd Annual Sappy Records Music Festival and we were inspired. The drive was long but the passions were high. We were full of fire and sunshine. We were hopped up on road snacks and ready. I’ll sing your songs if you sing mine. Let’s make a record, start a label. Why not? ‘Split’ was recorded in Welland ON, in the Romano household. It’s all a blur, making this record and ‘Still Jimmie’ (YC-001), like one memory of people coming and going, making songs, making dinner, pot roast and coffee. Sleeping on a couch by the mixing board, sitting around the kitchen table singing. The Fall of 2008, like any moment, a split between the past and the future. This is the record we made. Shotgun Jimmie used to play in Shotgun and Jaybird. Everybody loved Shotgun and Jaybird because they had great songs, they were funny, they were sad, and they were wonderful. They were sloppy and drunk and at times totally transcendent. They had a drummer that could hardly play, and then after he left, they had one of the best drummers imaginable. Everybody who ever heard of Sackville, New Brunswick wanted to see them play. After the band broke up Shotgun Jimmie made a record in his living room called “The Onlys.” Everybody loved it. He sang about getting up early in the morning, about writing songs, about good times and bad times and a mysterious “sparkle revolution.” He played a bunch of shows supported by a shifting group of some of the top musicians of our time: Construction and Destruction, Jesse Baird, Jay Baird, Bucky Buckler, and Baby Eagle. Soon, Jimmie started playing a bunch of shows with Welland, Ontario’s Attack in Black. The shows were different then what they’d been before. What was once ramshackle and sweet and funny, was now still somewhat ramshackle, was sweet, funny and also pretty rocking. That is to say it rocked. They blasted through the songs with urgency and purpose. Then Jimmie wrote a bunch of new songs and recorded them with Attack in Black in their basement studio. Jimmie calls this his serious record, and it is, in a way. but he codes his worry in rhyme and in tune. He makes jokes. He plays guitar solos. It’s wonderful. The songs are crunchy and catchy and unforgettable. There’s a shambling duet with Simone Schmidt of Toronto country bad One Hundred Dollars called “Quicksand.” There’s the questioning rock generation anthems of “Mind Crumb,” and “The Cost Of Doing Business.” There’s emotional laments: “Province to Province,” which sounds like one, and “Waist Deep In The Water,” which doesn’t. And there’s my favourite song: “Used Parts.” It’s a different sounding Jimmie, but it’s Still Jimmie. Hey everyone.Whoever you are. If you are anyone at all. Just kidding. 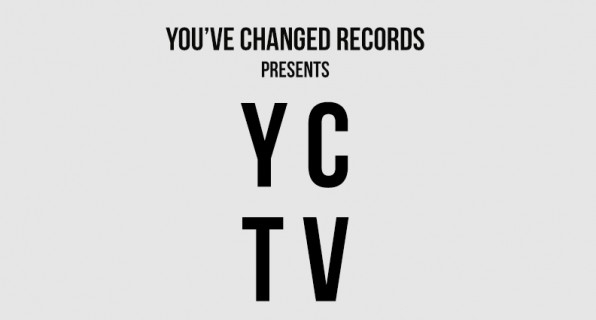 This is the brand new You’ve Changed Records website. The idea is to make this place a site you can go to on a cold night alone at home and to read hopeful news about your favourite bands. We’re sitting in our cold apartments in Montreal, and gettin our guitars fixed in Welland, walkee-talkee-ing back and forth all day, trying to make our dreams come true. Taking turns working shifts at the record store. We’ve got a very exciting spring to think about, and wanted to share the reasons for excitement, with you, dear reader. First of all, we are to be releasing two very special records. 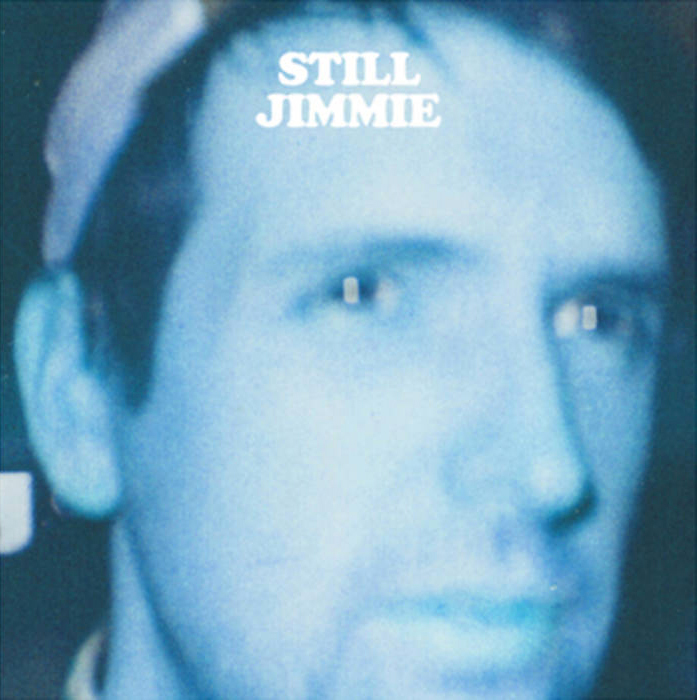 On March 10th, Shotgun Jimmie‘s future classic Still Jimmie will be in stores across the nation. People of Canada, rejoice for this one. Jim will be going on tour with Attack in Black in the U.S. and Canada to follow up that release. 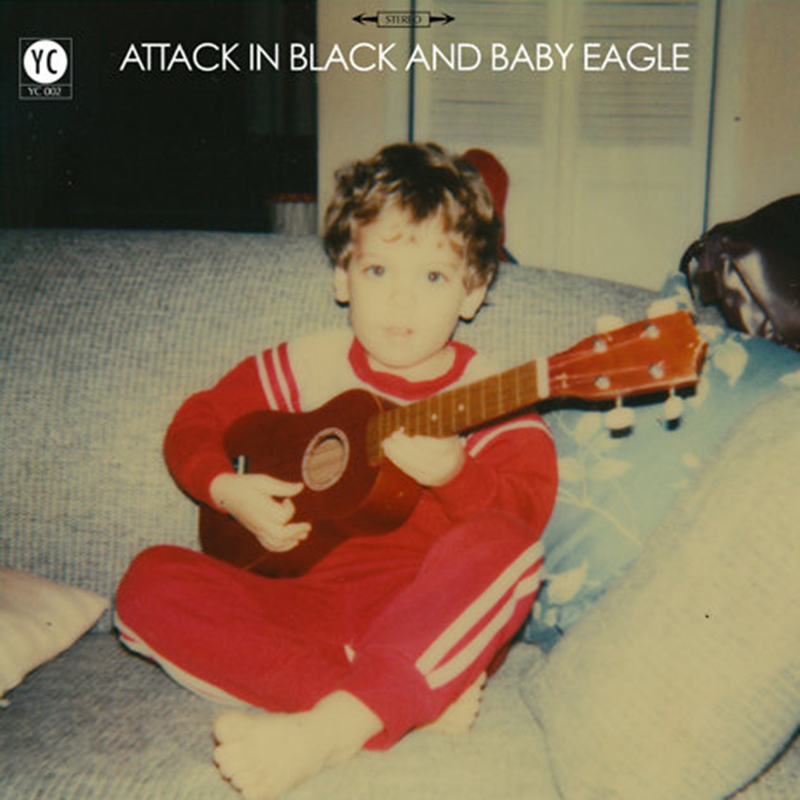 Then, on April 14th, we’ll be releasing a split album of Attack in Black and Baby Eagle playing each others’ songs. It’s great. You guys have no idea! Hope you all are keepin’ warm.